In a small mixing bowl mix salad dressing, and orange juice together. Set aside. Heat outdoor grill and spray nectarine halves with cooking spray (ok if nectarine pit is still in one half of nectarine). 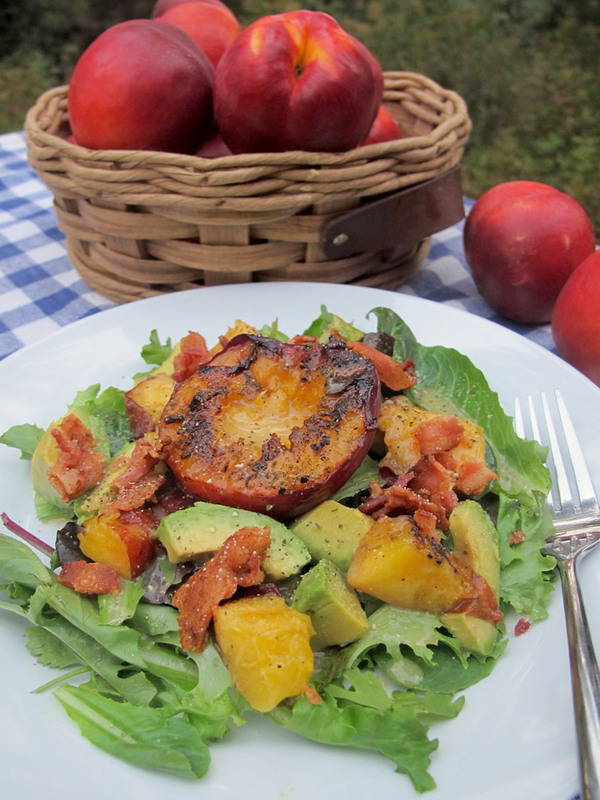 Place nectarine cut side down on grill and turn fruit until grill marks lightly appear. Remove nectarine from grill and let cool. Cut fruit into chunks or leave halves whole. Squeeze lemon juice onto cubed avocado. In medium size bowl add cubed nectarines, avocado and all the other ingredients together and toss with dressing. Optional: Garnish salad with grilled nectarine halves and more bacon for an attractive presentation.